Jungkook HQ litrato ♥. . HD Wallpaper and background images in the Jungkook (BTS) club tagged: photo bts bangtan boys jungkook kookie jungkookie hq high quality fantaken snowpeach zeppie. 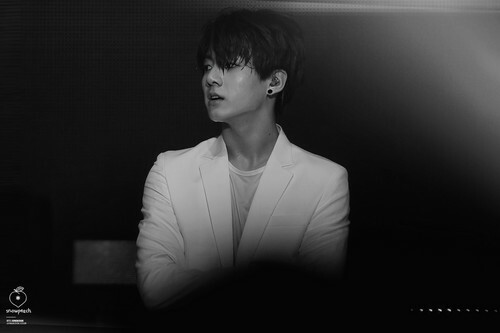 This Jungkook (BTS) photo contains business suit. There might also be suit, suit ng mga damit, mahusay bihis tao, suit, pantalon suit, and pantsuit.